thanks … relieved to hear that. might be some automation app that he was using causing "excessive usage"
Yes this is interesting news. And as per some reports it is due to "excessive usage" in a short time. Do not know what he is using VPN for but strange that he used 487 times in a week. Sounds fishy. And that Lantern Pro VPN was one of the popular VPNs used by Chinese netizen. But from what I read it is less popular now, probably because the 500MB limit on the free account and the ease of being detected. No need to worry if you just use VPN a few times for short trips. And I tend to think no issue for foreigner even for long term usage as long as you are not involved in criticising the Chinese government. I would be careful with windscribe, the provider is registered in Canada, which is one of the big enemies against the internet. (google about 5 eyes countries). I know they state like every VPN that they are a no-log provider, but that's probably not the case. If authorities needed information about you, the company would have to cooperate and give up everything they have about you. I did my research before committing to a single VPN provider. I understand your concern. Location of the VPN vendors is a consideration point. Still it all depends what you use VPN for. I would not think 5 eyes countries are really concerned about people using VPN to access Netflix USA from Singapore. There is a point raised about Ivacy in this thread as it is a Singapore based VPN. So it may not be a good choice for some people. On the other hand we may need to wait a bit longer to pass the judgement on Surfshark since it is relatively new comer in the market. I absolutely agree that's why I keep following Surfsharks development, updates and reviews online, their blog too. One thing that built up my trust is that they have been audited by Cure53, German cybersecurity experts. Got their chrome and firefox extensions checked and received high results, you can check the report on their blog. How the saying goes, beware and be aware, but such events do build up trust. Let's see how they perform this year. Nice. I'm a surfshark user, but I didn't know about the audit process before now. I believe, that every VPN provider should do an audit to be more transparent with their clients. You may never know which providers could be dangerous. This got me thinking about the top 10 VPN providers. Going to look through who ever did an audit and who did not. which is why l only use Windscribe for Netflix and PlA for all other purposes since Windscribe is a company rather new to me..
people used to warn against PIA as well because it's based in Denver, USA. but there are already proven and published cases of FBI approaching PlA for logs which PIA couldn't produce for the FB because they do not log. So although PIA falls within the "VPN 5/9/14 Eyes", at least they have proven track records that they do not log. another good thing about them is that they accept payment by Bitcoins and gift cards. I'm aware of some VPN providers conducting earlier external audits on the security of their services and I'm also aware that PIA does not follow suit and have seen Redditors and users on PIA community questioning them on this matter. couldn't remember the exact reply but if I remember correctly they mentioned in their response that such external audits do not come cheap and most of the other VPN providers that conducts such audits usually have higher subscription cost. they felt that it's unnecessary for them to do so and eventually pass on the cost to subscribers which is an added cost that doesn't add value in user experience for you as a subscriber. on top of that, even without any external audits, they already have real life cases to prove their point. can see this short summary of the 5/9/14 eyes if you are interested. this is the 2nd and most recent court case of PIA's proven no logging policy when FBI requested for then to hand over information again. this was the earlier 1st case where FBI approached PIA for leads but could not find any evidence like payment or email addresses used to subscribe to PIA that could be linked to the accused. Last edited by Charlie_Zhan; 09-01-2019 at 04:20 AM..
Apple is probably the best in terms of privacy protection among big tech companies like Google, Facebook, Microsoft and Amazon. Guess we have not much choices but to give up info to Google even you can choose not to use Apple, Facebook, Amazon and even Microsoft. You can check what Google knows about you here. I am not sure VPN can do too much in this aspect. Use iPhone, use alternative search engine? i do not see the need to worry if one is not doing anything illegal aye? most users i guess are trying to bypass geolock media contents only. any provider can claim no-log. there is no way to guarantee that until **** hits fan. i think best is to go with something that works and at the price point one is comfortable with. i actually have 4 active provider. The company info security news letter has a pointer to this article about free mobile VPN. It is often said that free unlimited VPNs are usually not good. The report may be of some reference to that assertion. I am particularly interested in the report about Turbo VPN which seems to be based in Singapore. One of the three linked VPN has the address listed as located in Beach Road, which is also where IVacy is based. I did use Turbo VPN a bit during my short trip in China as part of my free VPN testing even though I know the review is not good. It did work. 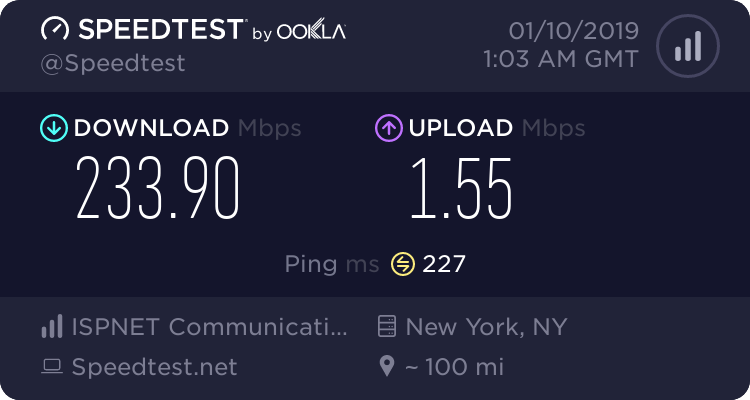 Seed4Me also works (not free VPN but offers one year free trial) which again does not have good review. Last edited by xiaofan; 09-01-2019 at 10:19 PM.. Interesting stuff, thanks for the effort. In my opinion, the risk is not worth it. You may never know the real case if the provider keeps logs or not. I will rather use a provider that's not in any of the 14 eyes countries. Better safe than sorry. but if I remember correctly they mentioned in their response that such external audits do not come cheap and most of the other VPN providers that conducts such audits usually have higher subscription cost. they felt that it's unnecessary for them to do so and eventually pass on the cost to subscribers which is an added cost that doesn't add value in user experience for you as a subscriber. on top of that, even without any external audits, they already have real life cases to prove their point. From what I've read on other forums is that PIA has hired top quality lawyers so they can handle the cases when they are pushed to provides logs, which I don't think they have at all. At least this is what the internet talks. Speaking about audits Surfshark was audited not for no-logs policies, but for their extension security overall, being based in The British Virgin Islands I guess they didn't see the need to prove they aren't keeping any logs. Agreed with this. Even if they got some audit before that certify them, what's stopping them from adding logs after? There's no guarantees. Last edited by shachok86; 10-01-2019 at 09:04 AM..
You definitely have a point there. It all comes down to trust. 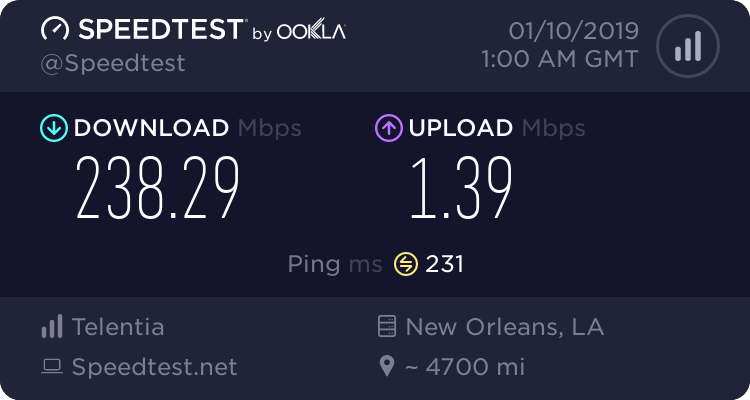 netflix has got their own speed test at fast.com … could u try? thanks!